In order to best serve our customers Mystic Echoes has put together a few spell and ritual kits. We have also put herbal kits together. These kits provide items ready to be used for spells and rituals. The herbal kits provide a set of herbs related to a specific ritual and magical act (protection, healing, etc) so that you as the individual can choose which herbs to use for what in your own manner. 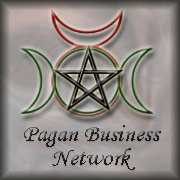 All of the kits and products have been developed so that the individual can find many ways to work with the items/ By providing diversity in the use of our products and in our product lines we provide the tools to develop many different spiritual and magical skills. No two people will ever find that any spell or ritual works exactly for the the way it did for another. These kits provide outlines for the beginners and the advanced practitioners or magic and rituals where you can develop your own practices from there.